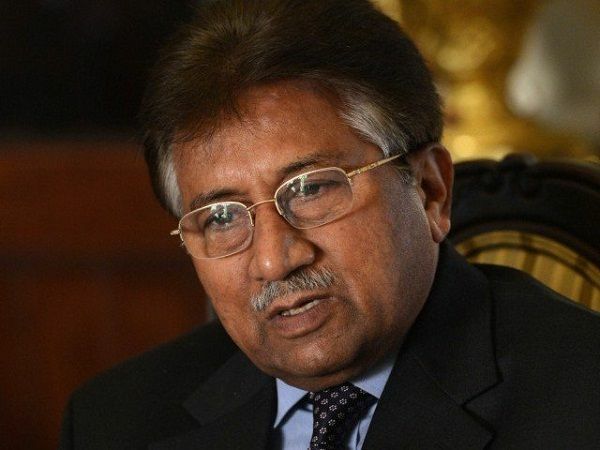 ISLAMABAD: Former president and military ruler General (r) Pervez Musharraf secretly extradited as many as 4,000 Pakistanis to foreign countries, mainly to the United States (US), the chairman of Missing Persons Commission (MPC) claimed before National Assembly on Monday. In his briefing to the Standing Committee on Human Rights, Justice (r) Javed Iqbal asserted that as many as 4,000 Pakistanis were handed over to foreign countries, mainly the US. The head of the commission on missing persons — who is also the National Accountability Bureau (NAB) chairman — said that the former interior minister Aftab Ahmad Sherpao was also part of the “secret handover”. Iqbal blamed the Musharraf regime, stressing that it did so for money. “Most of the extradited persons sent to the US in exchange for dollars,” he told the lower house of Parliament. “No one including the Parliament ever questioned the role of Musharraf and Sherpao in it,” he regretted. The NAB chief pointed out that certain foreign agencies were involved in enforced disappearances and gave a bad name to Inter-Services Intelligence (ISI) and Military Intelligence (MI). Justice (r) Iqbal promised to meet Manzoor Pashteen, the leader of Pashtun Tahafuz Movement’s (PTM), assuring to address the issue of missing persons in Federally Administered Tribal Areas (FATA). In 70 per cent of the cases, Iqbal claimed, the missing persons were found to be involved in militancy. If a person is involved in militancy it does not mean that his family too should be considered militants, he said further, complaining that many formerly missing persons had chosen not to inform the commission about their ordeals due to fear. He said he had asked the Balochistan authorities to provide official figures about the missing persons but they did not respond to his request. “Several groups are operating in the province and many missing persons joined those outfits,” he argued. Justice (r) Iqbal said if he had any authority he would have never allowed such foreign organisations to operate in Pakistan in the first place, defending the ban on international NGOs. “Most of the international NGOs work with the enemy’s agencies under the garb of welfare scheme,” he claimed while supporting his stance by citing the example of Dr Shakil Afridi. Iqbal also presented a report on missing persons before Zahra Wadood Fatemi-led committee. He said that a complaint was lodged with respect to 4,929 missing persons from 2011 to 2018. “The MPC disposed of 3,219 cases and investigations are underway regarding 1,710 missing persons,” he claimed. Kishwer Zehra, MNA from Muttahida Qaumi Movement-Pakistan, said that 132 persons from her party were missing and their family members remained unaware whether these people were dead or alive. Meanwhile, Human Rights Commission of Pakistan (HRCP) has criticised the country’s human rights record over the past year in a new report released on Monday, saying the nation has failed to make progress on a myriad of issues, ranging from forced disappearances to women’s rights and protection of religious minorities. Did not sale our country rather protected us against all odds. Our country emerged as winner in that strategy devised by general.